With 14 miles of aisles, the SHOT Show can be both entertaining and exhausting, writes outdoors columnist Larry Case. 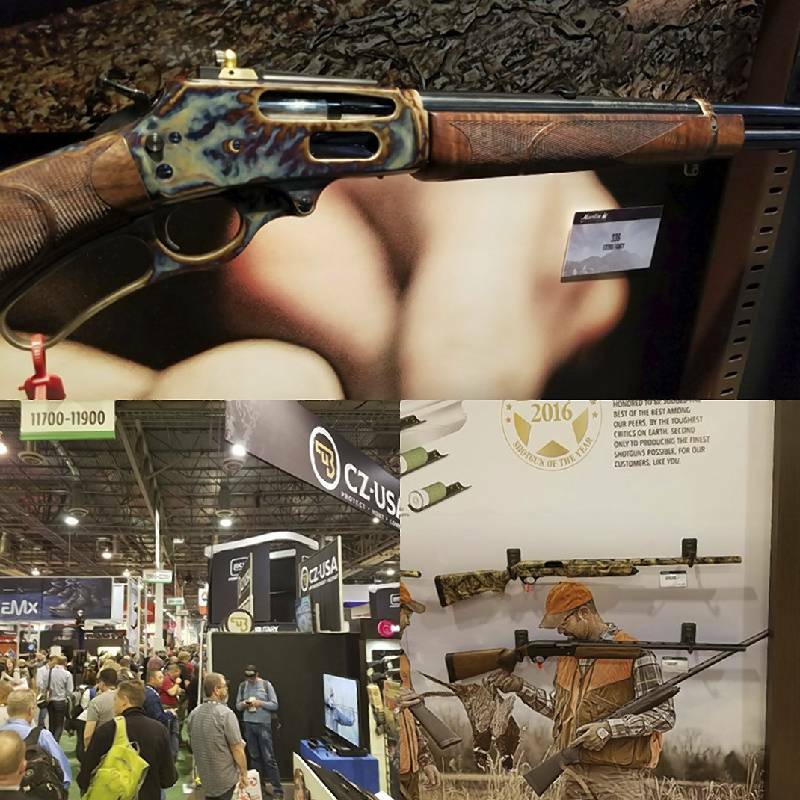 If you go to Las Vegas for the annual SHOT Show, you're certain to see a lot of impressive new items from the shooting, hunting and outdoors trades &mdash; and you might even see Pikachu of Pok&eacute;mon fame, writes outdoors columnist Larry Case. Thanks to those who may have sent out a search party for me this past week, but yes, I made it back from the SHOT Show in beautiful, wonderful and terrible Las Vegas. Evidently, people from all over the world love Vegas; evidently, I may not be one of them. Is it exciting there? Yes! Are there many things to do there and a lot of bright lights? You bet! 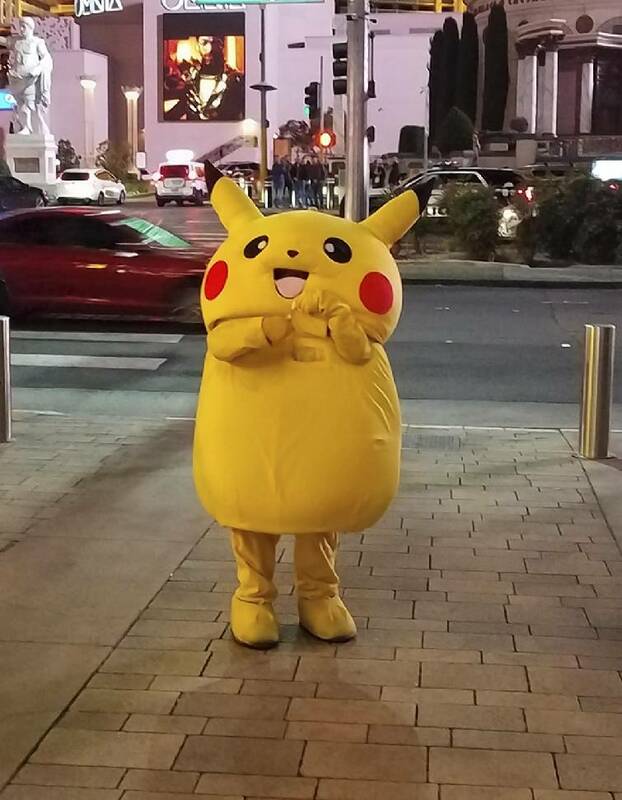 Vegas may just not be my thing, and no, I did not see Elvis, but I did see Pikachu (of Pokémon fame) and some form of alien roaming the aisles at the SHOT Show. For those who have not read me going on about this event before, I will explain. The SHOT Show is the Shooting, Hunting and Outdoor Trade Show. This was the 41st year for this monster show of all things related to firearms, ammunition, hunting and most things in the outdoors world. Imagine the Sands Expo and Convention Center absolutely jam-packed with anything and everything even remotely related to those topics. Now add about 65,000 people — industry folks, firearms company employees, outdoors- and gun-related media, manufacturers, retailers and distributors — from all over the United States and some 100 foreign countries. There were more than 2,100 companies exhibiting this year, taking up 630,000 square feet of space, with 14 miles (yes, 14 miles) of aisles to explore. It is mesmerizing and wonderful while at the same time overwhelming and exhausting! As much as I would like to go on about my adventures in Vegas (such as getting lost in the Sands, meeting Pikachu and falling over with exhaustion at the end of each day), every year folks back here in the real world always ask much the same thing: "Larry what did you see at SHOT that you thought was good?" Well, I am always slow to answer that because truthfully there is just so much at SHOT it is overwhelming, but here are a few of the highlights. » CZ-USA 1012 shotgun. Brand new for CZ is a semi-automatic shotgun that is not gas-operated. This is an inertia-powered shotgun, the first one for this company. Gas-powered shotguns, which use the gases expelled by the fired shell, can sometimes be finicky about functioning when they get dirty or in bad conditions. Inertia-powered guns basically use the force of the recoil, stored in a spring, to extract the fired shell and load a new round. CZ-USA put the 1012 to the test and fired more than 5,000 rounds without any cleaning or lubrication. The 1012, which has a suggested retail price of $659, will also eat anything you put in it, from light 2 3/4-inch loads to the 3-inch Magnum boomers. Two cool finishes in gray and bronze are available, as well as a full camouflage model. » Timney Triggers Elite Hunter trigger. I have said this many times and will say it again. The trigger is the heart of any rifle, no matter how good its action, barrel, stock or anything else may be. Timney Triggers has been around for 72 years and has put the aftermarket trigger industry on the map. The new Hunter Elite trigger is the latest creation of Calvin Motley, the company's director of product development. (That's his official title; some years ago I dubbed him "Trigger Wizard.") This trigger is for the Remington Model 700 and any of its footprint actions. Timney engineered every component of the new Elite Hunter to elevate your accuracy with fully adjustable over-travel and pull weight. It's adjustable from 1 1/2 to four pounds and includes a bolt-stop release and a trigger-blocking side safety to ensure reliability. The Elite Hunter, which retails for $149.95, is backed by Timney's legendary "no-hassle lifetime warranty." » Stevens 301 Turkey .410 Shotgun. Using Tungsten Super Shot is the all the rage right now with many turkey hunters. TSS allows for the use of smaller shot and smaller-gauge shotguns while still having effective killing patterns out to 40 yards. Because of this, the .410 bore (not gauge) has become a hot item. 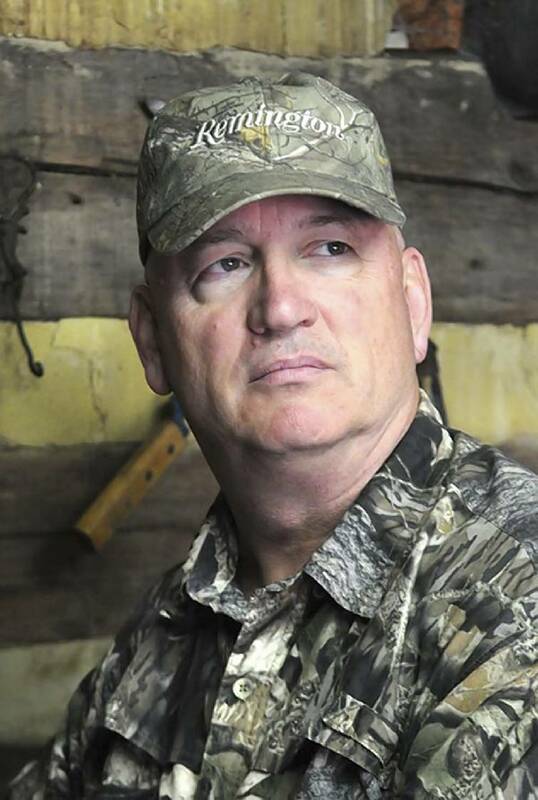 Stevens brought its 301 shotgun out in a turkey model in .410 with camo stock and forearm in either Mossy Oak Bottomland or Real Tree Obsession. The new 301 Turkey, which retails for $199, comes with a rail already mounted and an extended screw in full choke. This is a great starter gun for kids, and Dad can use it, too. » Leupold VX-Freedom red-dot sight. Putting red-dot sights on firearms is not new and has applications spanning from turkey shotguns to long-range rifles. These are tubular red-dot sights that can be used by hunters as well as plinkers and other sport shooters, and the VX-Freedom RDS will be available in two models. The first features capped precision 1/4-minute-of-angle click adjustments, the other a precision-exposed BDC elevation turret that ships with measurements out to 500 yards for standard 55-grain .223 Remington ammo. So you may have your initial setting at 100 yards, but if your target pops up at 200 or more yards, a few clicks on the turret and you are holding dead on the target for that yardage — you just dial up the shot. While these sights have manual on and off, they also feature a motion sensor that puts the sight into battery-saving mode after five minutes of inactivity, then comes back on when you pick up the gun. There are eight brightness settings and up to 1,000 hours of battery life. These sights are built in the US of A at the Leupold factory in Beaverton, Oregon, and have a full lifetime guarantee; the models retail for $299 and $399. OK, I know that is not much, so maybe like last year I will write a second round of things I saw at SHOT and tell you more about how wonderful Vegas is. In truth, I met a bunch of wonderful people in the firearms industry, and I really appreciate all of their help. Pikachu was very friendly; I'm still looking for Elvis. "The Trail Less Traveled" is written by Larry Case, who lives in Fayette County, W.Va. You can write to him at larryocase3@gmail.com.